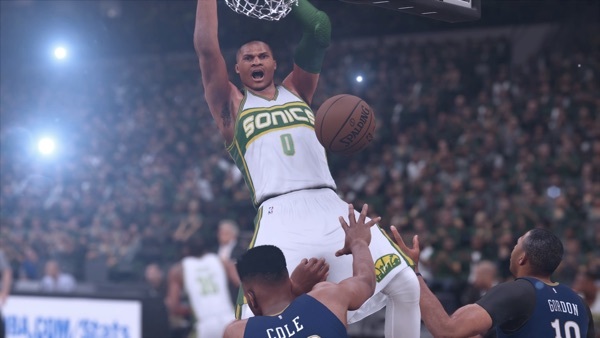 The NBA season is now in full swing and if you keep an eye on Darkstation you will know that I reviewed NBA Live 16 to mixed feelings. It’s a franchise that’s headed in the right direction, but it has a lot of work to do if it ever wants to catch up to 2K's offering this year. 2K Sports hasn’t always been this successful with their sports franchises (just look at NHL and MLB 2K as examples), but the work that 2K Sports and Visual Concepts have done with the NBA 2K franchise over the years is beyond impressive, and thankfully this latest release is no exception. If you pay much attention to this franchise, you know that each year brings some big change. This is not a development studio that rests on its laurels, and that's in large part what’s made this franchise the sales and critical success it’s been. This year's collaboration with Spike Lee for the MyCareer mode definitely brings things to a new level, and while this isn’t the first sports game to have a full blown story mode, it’s definitely one of the most successful. You play as Frequency Vibrations (yes that’s his name), starting out as a high school basketball star, following him to the college ranks, and finally into the NBA. After most games, you will be treated to cut scenes that last anywhere from 30 seconds to a couple of minutes that further explore the lives of Frequency and the people he's closest to. As you watch and learn more about his trials and tribulations, you'll also be making some minor choices. This isn’t a Telltale adventure, mind, so it's not going to be anything huge, just little things here and there. While I won't go into details, the story ends rather abruptly at the end of your rookie season. It’s an interesting mode with some truly brilliant moments, but it falls apart towards the end. Even after the story ends you can keep the career going, although without the Spike Lee directed cut-scenes, turning it then into a very familiar career mode as seen in previous entries, filled with after-game interviews and plenty of activities off the court to keep you engaged. It does feel like a steep cliff to jump from a fully realized career story, then suddenly back to a very familiar career mode. I ended up ditching the mode shortly after and moving to the MyLeague mode, the game's extremely deep franchise mode. 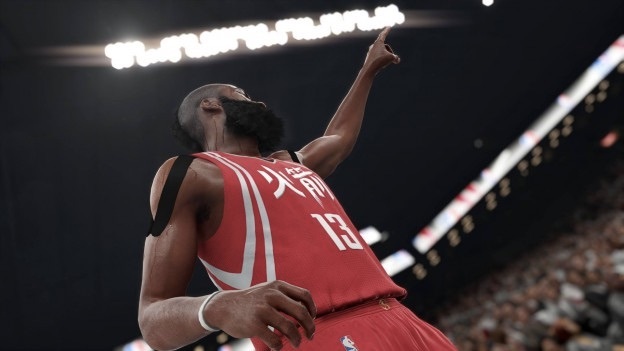 What impressed me far more about NBA 2K16 is that it continues to improve the gameplay. 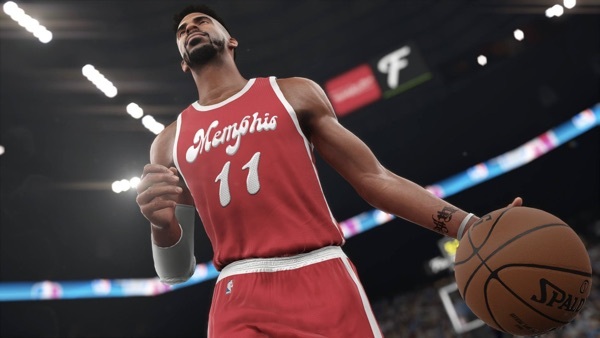 NBA 2K16 remains the best playing sports game on the market, and while it might be cliché to say this, the game also looks like the real deal. I’ve had multiple people ask me what game I was watching not realizing it was actually me playing. If you played a lot of NBA 2K15, you’re going to notice a huge difference in how the game handles defense. Rather than a lot of man-to-man coverage, you will see the entire team move and react together. I urge you if you pick up this game to put the controller down and just watch how much movement happens without you doing anything - it’s really impressive. These changes are going to have a significant impact to how you play the game. NBA 2K16 requires more passing and strategy. I found my first handful of games hugely frustrating since old strategies weren’t working, but now that I’m easily 50+ games into my time with NBA 2K16, I can easily say that I’m a far better basketball gamer then I’ve ever been. I’m calling plays, working screens, and far more patient to find an open look. In fact, what my struggles did find was that the game is in dire need of an accessible tutorial mode to teach the basics and deeper functionality in the game. Even as a longtime player I'm still not sure I fully understand/utilize the full functionality available to me. NBA 2K16 continues to be at the top of its game, even if the new career mode isn’t everything I wanted from a Spike Lee joint. Its an interesting idea and one that I really hope they try again in NBA 2K17. Even if you don’t enjoy your time in the career mode, there's a ridiculous amount of great content to be enjoyed. And the game just plays better. It’s a really smooth basketball experience and still remains one of the best sports games on the market. Last year was an odd year for the NBA 2K franchise. On one hand they put out a brilliant game with stellar gameplay, rich modes, and a beautiful recreation of the NBA. On the other, they were marred by bad press (from media and fans) from launch onward for implementation of micro transactions. The short story was, in order to advance your created player in NBA 2K18, you had to endlessly grind to level them up - or pay the piper. A year later I was fascinated to see how 2K Sports and Visual Concepts would respond to the criticism. Well, let’s jump in. Summed up, NBA Live 16 feels like a game that has a lot of good pieces but it’s still looking for its James, Bryant, Durant or Curry to help get it to the next level. Until they find it, NBA Live will continue to be a middle of the road game of basketball. Its a shame that the core basketball game still feels like it needs another couple of years of polish to even come close to its competitors. For now we are left with a solid lineup of features and a game of basketball thats just not worth anyones time. Like Lebron, it’s still the king, and for that all other sports franchises should take notes and pay attention. NBA 2K17 is a great game of basketball and easily one of the best sports games of 2016.